So it’s time for a bathroom remodel and yours is just too small. It’s not always easy to just knock down some walls in your home and make the bathroom bigger. Actually, this is just not an option most of the time. Luckily, there are plenty of ways to make your small bathroom seem much much bigger with just a few changes. Keep these in mind the next time you’re planning a small bathroom remodel. We all know that mirrors belong in the bathroom. The obvious reasons are for makeup, shaving, doing your hair, checking yourself out before a party (or during the party if you’re hosting), etc. Mirrors serve another pretty cool purpose, though. A mirror in any room in your house makes that room seem a lot bigger. 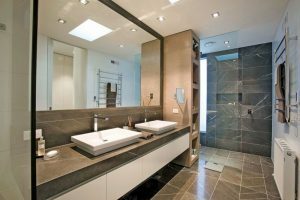 Some glass above the sink with which to do your makeup and maybe one more floor mirror for clothing or full body viewing can add a ton of visual space to your bathroom. Shelves take up so much more space than we actually realize. You can’t stand there or put anything else there. There are some really innovative ways to remove shelving, however, and my favorite is simply just building recesses into the walls of your bathroom. Not only do you save space by not having to build shelves out into the space of the bathroom, but it looks extremely modern as well. 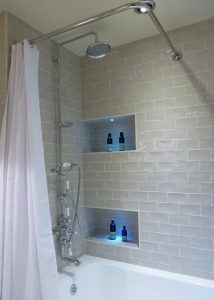 Recessed shelves are also great for the shower. You no longer need to worry about knocking shampoo bottles over and your stuff gets to stay dry. In addition to the recessed shelving, a curved shower rod will actually add a bunch of space to your shower as well. It requires actual screws into the wall(as opposed to just being a tension rod), but this means you don’t need to worry about weight pulling it down. White or light colors make spaces feel bigger. Using white or cream-colored tiles for your floors and wall can make a bathroom far more spacious. This is magnified by the mirrors we mentioned earlier. This light coloring doesn’t do us any good if nobody can see anything, though. Bright lighting is essential for any bathroom. Not only to make space look larger but to see what you’re doing. Bathrooms are a space where we do a lot of important grooming, and not being able to see what you’re doing can result in a bunch of mistakes. These are some pretty easy hacks to remodel your smaller bathroom to look bigger. An extra mirror somewhere, white coloring, and recessed shelving can all make that small bathroom look huge. Join us next time for some more remodeling tips, or maybe even some pictures from our latest one! We do good work in the North Idaho area and love to show it off. If you’re interested in seeing what we do or getting in touch with us, drop us a line! The really fun part about owning a house is the sheer amount of customization available to you concerning every nook and cranny. From repainting a living room wall to spending 4 days touring the city looking for the perfect leather couch, designing your home is fun! Probably the most fun and exciting remodel is the bathroom. Designing your dream bathroom offers a wide variety of options and every one matters because we use our bathrooms so extensively. 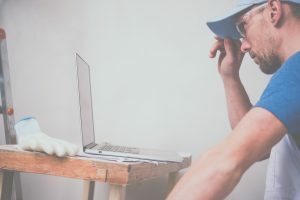 But before you enthusiastically break out the hammer and nails, let’s go over some tips to make your remodeling process cheaper, faster, and better. Bathroom remodels can get expensive. The average remodel sets us back $9,000 in the U.S. While some cost as little as $2,500, the top end extends up to ten times that much at $25,000. Defining a budget will absolutely save you money, and also make all of your choices easier. Knowing how much money you’re allowed to throw at a project eliminates choices that are too expensive, but also lets you know where you can spend extra to avoid the bargain basement options. Absolutely feel free to call us for a 100% free consultation. Sean is one of the best installers in Coeur d’Alene and can help you with any remodeling questions you’ve got. 2. Only Change What You Have To. 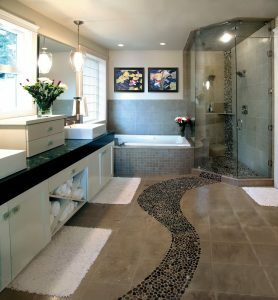 This may seem like silly advice for a bathroom remodel, but I can actually save you thousands of dollars here. If your tub or sink only needs a small touchup or change to fit the rest of your design, then you should refinish it instead of straight-up replacing it. 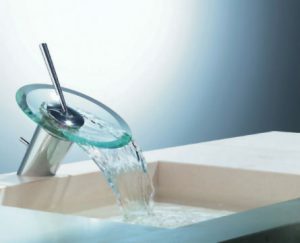 This could save you 75% or more on your costs for that specific part of your bathroom. This also applies to your plumbing. Hidden pipes lead to hidden costs, and having to move plumbing around can put you over budget in no time. Switching your shower and toilet just may not be worth it, especially in a small bathroom. The combination of not moving things around and refinishing things that don’t need to be replaced really allows you to drop some cash on the focus of your project. 3. Pay Attention To The Details. Things such as shower handles, doorknobs, and light fixtures don’t cost a ton but really bring your dream bathroom remodel to life. Specific designs, even if they’re simple, can complement your choice in shower or mirror perfectly. Another detail you cannot ignore is your ventilation. If you have any moisture just hanging around it will ruin your hard work and ruin it fast. Nothing makes a project more expensive than having to redo it or further fix in it a matter of months. 4. Don’t Be Afraid To Call Monet! than my stomach and it ended up costing more money. We obviously don’t mind fixing anything you’ve made an error on, but it’s cheaper for you to have us do it in the first place. Discretion is the better part of valor, and your wallet will thank you for knowing when to call in the pros. I can guarantee the quality of Sean’s work, as well. Dude is amazing at what he does and I haven’t met anyone in the area better. If you’ve got it, no sweat. Call us with questions or for any materials you may end up needing. At the end of the day, we put our customers first. I hope this has been helpful. Happy remodeling! Congratulations! You’ve chosen the brand and type of carpet with which to cover your home! The upcoming choice is the even harder one, what color? 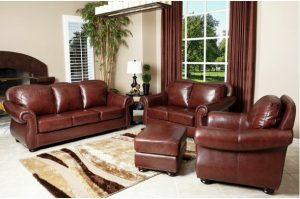 The cooperation between furniture, carpet, and wall colors can have a huge effect on the mood of a room. I can’t tell you exactly what color to make your carpets, that bit is wholly up to you, but I can at least help you make the most informed decision possible. Before we even get to the carpet we’ll need to choose the colors of the furniture in the room. Unless you’re getting chairs and couches custom made, the color selection is going to be pretty limited. It’s best to get the limited choice out of the way first because it’s much less likely that you’ll be able to pick out a sofa to match the carpet as opposed to the other way around. Now that you’ve got your furniture all picked out, let’s get to the whole reason you came here, the carpet! So much about a room can be determined by the color and style of the carpet. You’ll definitely want to identify the purpose of the room you’re carpeting before making anything final. Light colors can really open up a room and make it feel spacious. Darker colors will make a room feel smaller and cozier. Neutral colors such as beiges and creams will really go with anything, but bright colors can make a room pop, making a statement. A heavily trafficked room will accrue a lot of dirt, so maybe avoid bright whites unless you feel like putting in the hours to keep it clean. Darker and patterned carpets hide dirty really well and should maybe be considered for these areas. However, dark carpets show fluff pretty easily and need to be vacuumed more frequently. You can decide on the wall paint color(s) later since paint can come in virtually any shade and can be tailored to match your floor and furniture. I know that was a lot. To recap, figure out A) the color of your furniture, B) the mood you want for your room and C) how much traffic is going through. After that, bring a color wheel to your local professionals and get carpeting! As robust, sleek, and strong as hardwood floors can appear at first glance, they need to be dutifully cared for to keep all those adjectives relevant for as long as possible. 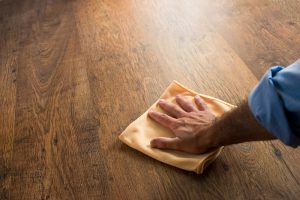 From small scratches and dulling to widening gaps, issues can plague your beautiful wooden floors if you don’t provide the proper hardwood care and maintenance. Here’s an easy list of do’s and don’ts to keep your floors fancy. Do: Throw a rug in front of each entrance to your home. Even the smallest amount of dirt, twigs, or just general debris stuck to your shoes will scratch at the floor over time. A rug at the door and an easy stomp when you come in from outside will do a surprising amount to prevent those tiny accumulated scratches from ruining the sheen on your lovely wood floors. Don’t: Wear high heels or cleats on your wood floor. The math here is actually pretty simple. Sure human beings only weigh one or two hundred pounds, but that weight applies more pressure than we think when it’s all focused on our feet. The multiplication gets even crazier when we focus even further onto the fine needle points that are high heels or sports cleats. 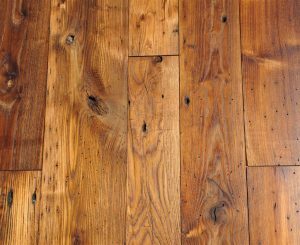 We’re talking thousands of pounds of pressure per square inch; definitely not something you want on your hardwood floors. Tiny dents can form, and over time they’ll turn into something larger and quite visible. Leave them at the door, next to the rugs! Do: Wipe up any liquid spills immediately. Water and wood are a bad combination, this much is some pretty common knowledge. Any amount of water sitting on the wood for even a short period of time can soak in and immediately start causing some damage. Stains don’t look great and neither does your wood buckling. Let’s not even mention the extreme case of rotting wood! I can sneak a Don’t in this category too, as it’s pretty relaxed. 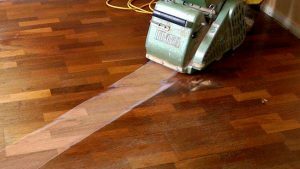 Don’t steam clean or wet mop your wood floors. Water is such a bad idea. Anyway, that’s all for this week. Keep those wood floors looking lovely, and check in every week for more easy care tips! For more information contact us directly!